Fantastic I think that i have found my new favorite. Outstanding. So smooth and great flavor. I mix with Coke and it is outstanding. I lited It had a great well rounded taste to it. Did not meet my best rums but beet most others that I have tried. A fan This is a good rum. it has a good robust flavor to it. I enjoyed it a lot when i picked it up in Costa Rica. Good stuff I like the flavor and full body. It does not have all of the flavors that top brands do but good all the same. I will get it again in the future. Happy Overall good taste and flavors. It had a good profile to it and was full flavored. I liked Not my top choice by far but still a good rum. It has good flavors to it and for the price it is worth it. Not bad but not great. It was an ok rum lacking a lot of the flavors that I would expect. I wish that it had much more to offer. a little bland. Good stuff For a 4 year old rum it is good. I like the 12 year rum they offer a lot better. Good for Captain Was a good rum b UT not the best. Much better then any other captain I have had and works good as a mixer. Pretty good. Picked it up a couple years ago and was happy with the results. Though not one of my top choices it is good stuff. Good I like. Not my favorite but it was still good. Has a good flavor and aroma to it. I would recommend it for for the price range. Pretty good stuff I lite but not the best. It has a decent taste and after finish but not as much flavor as I would like. Average It is an average rum and about right for the money. Maybe if the aging process got longer it would be a lot better. Just Ok Not a top rum by any means. I would say just on the average side. MIXER Good mixing rum and can be sipped straight. Week on the alcohol content. Mixeri Good mixing rum and can be sipped straight. Week on the alcohol content. Good for a clear rum. I like my spiced and aged rums the best but this is my go to when needing a clear rum for cocktails. Wanted more then what I got I thought there would be more. Just need to mix with coke. 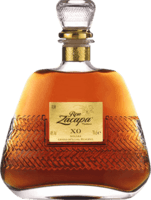 Not to bad It is not a bad rum and the price is just a bit high for what you get. I though I would be getting more but was not there. Not bad I am not much of a Bacardi fan but this is not too bad. 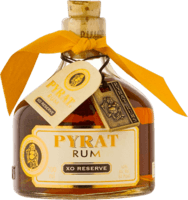 Has a pretty good taste for a spiced rum but not a high-caliber. Strong stuff It is an ok taste but has to be mixed with something or it gets overbearing.